We invite you to watch this video which explores the reasons we exist. Please share it if you care about these issues and wish to support our work. We hope you will join us at The Inaugural Lydia Symposium, a free event (donation of any amount requested) to be held 16-17 September, 2016 at Greystone Theological Institute in Coraopolis, PA.
(5) Children as persons with integrity, voice, and status within Scripture, the life of the Church, and the Christian tradition. Lydia has been formed in a time of great anxiety and uncertainty about the Church’s teaching and practice in the areas of women, family, and children. On many fronts, and in ironic resemblance to a wider cultural unraveling in the areas of sexuality and gender, Church thinking and practice currently admits of great unevenness and instability. However, while these are days of great uncertainty, they are also days of great opportunity. Biblical and theological research in the last several decades has provided Christian thinkers and clergy with the resources needed in order to reconfigure destructive modes of teaching and practice within classrooms, congregations, and ecclesiastical bodies. For example, social and cultural analyses of certain distinctively American notions of female subordination, male headship, and family ethics have demonstrated that many notions deeply embedded in especially evangelical Christian culture are indebted not to Scriptural norms but to nineteenth and twentieth century American mythologies of Victorian and other cultural models. Research in biblical and theological disciplines have alerted attentive readers to issues easily overlooked in the polarizing and, for many, unsatisfying discourse over complementarianism and egalitarianism. The work of biblical scholars across denominational lines has prompted a closer, invigorating look at the canonical significance of the most familiar gender and family texts in the Bible. Work on the eschatology of gender in relation to the biblical ethical world is opening up new understandings of how Scripture’s gender and family ethic is coherent and foundational for human welfare. Pastorally, increasing recognition of a common weakness in evangelical and Reformed communions has fueled interest in better resources than a previous generation enjoyed. In particular, the abundance of Christians seeking counsel and clerical support in circumstances of spousal or other family abuse, or who have withdrawn from church life or involvement because of perceived failures on this front by church leaders, prompts the need for an organized body dedicated to providing and encouraging research and teaching. Reports indicate clergy and church leaders desire guidance in these matters as well, feeling significantly underprepared in the face of complex pastoral situations. With a view to these developments and the opportunities they present to academic and ecclesiastical institutions, Lydia is developing research programs and organizing events to stimulate top-tier work in these areas of increasingly visible importance for the Church. A further brief word is in order, though, regarding Lydia’s orientation to its labors. Biblical study at Lydia proceeds from a Christian commitment to the Bible as Holy Scripture. This is to say that while Lydia research benefits extensively from scholarship produced from all directions and diverse faith commitments (or none), Lydia’s focus is on the Bible as Holy Scripture, not in the Bible as a window into Israelite or Greco-Roman society or record of social-cultural and religious developments in gender and family. Rather, Lydia proceeds from the Christian recognition of the Bible as the Word of God norming and forming the Church’s faith and life. Theologically, Lydia is committed to exploring gender and family as theologically rooted in God’s good creative and eschatological purposes, purposes revealed supremely in Jesus Christ. As a Center of the Greystone Theological Institute, Lydia works from the vantage point of confessional Reformed catholicity, and with a programmatic vision to advance that tradition. While Lydia will review and commend quality scholarship from any source, Lydia will not adopt a position in contradiction to the Westminster Confession of Faith and Catechisms. This commitment is not an effort in self-protection. Rather, it reflects the conviction of Greystone that while they do not say all that must be said, the Westminster documents — in relation to their nature as consensus, catholic, and ecclesiastical documents, and in relation the vibrant tradition to which they belong — represent a high point in the consideration of our research questions. Thus Lydia reads, consults, and interacts fruitfully and openly with scholars across denominational and disciplinary lines, and yet deliberately explores strands of traditional and constructive Reformed thinking. Lydia explores the meaning and scope of theological and ecclesial commitments from within this most basic commitment. 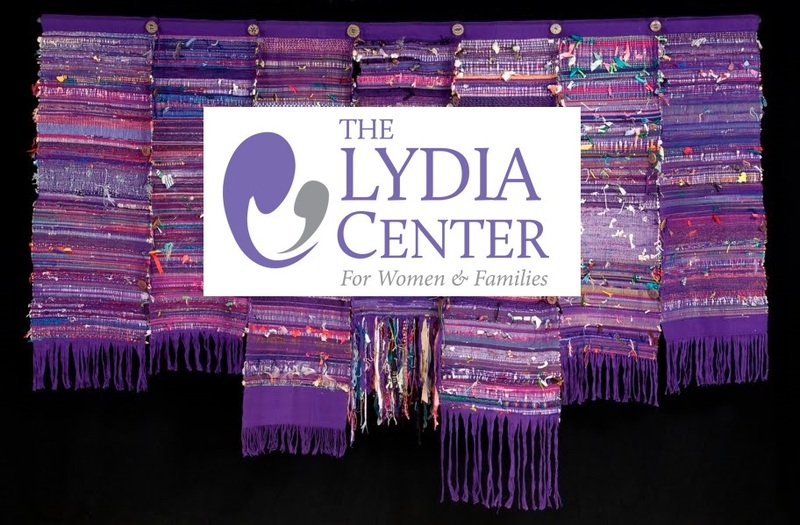 Negatively stated, Lydia does not investigate gender and family as mere social or cultural constructs, but positively, as divinely given and ordered for theological ends. Lydia’s mission is to explore those ends with a view to their ethical consequences for, and shape in, the present. In exploring the significance of biblical and theological insights for life in the contemporary Church and world, Lydia employs various scholarly and heuristic tools. Among these, the tools of linguistic analysis and of the social sciences are not only theologically grounded but also touch on a critical biblical-ethical concern for loving, faithful, and truthful communication which builds up rather than destroys. With regard to (1), (2) and (5) of Lydia’s key activity areas listed above, linguistic analysis can help us understand, for example, what types of actions are attributed to men and women and what characteristics are ascribed to each (favorably or not), as well as in what contexts each are mentioned or excluded. Examination of ways in which other social actors in Christian texts (the Church, for example) are gendered linguistically and/or marked by age offers additional insight into these areas of inquiry. Further, with a view to (3), linguistic analysis (particularly corpus-assisted discourse analysis) and, where appropriate, ethnographic inquiry assist us in understanding how various social actors in Christian communities are given or denied agency within marriage or in social or ecclesiastical environments. In sum, these tools enable us to understand the ethical significance of how church leaders and laity speak and write about men and women within the contexts of such issues as headship, divorce, and spousal abuse. The foregoing can serve only as a sketch, at best, of the work which must be done and which Lydia is formed to encourage and to resource. Of course, readers will have many questions about issues not noted explicitly above, and this is not only understandable but appropriate. In light of this, we invite your participation at the metaphorical table as the work begins. Predictably, the Lydia vision will be explored more fully in coming posts and events.